Item Nr: B 90547 Title: Mind Joggers! 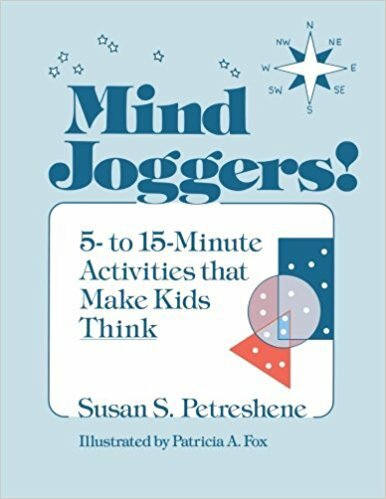 Subtitle: 5- to 15-Minute Activities that Make Kids Think. A collection of activities which take from five to fifteen minutes which are designed to help students improve their thinking and comprehension skills. Includes whole group, partner, and individual activities for elementary children organized into four major subject and skill areas: Thinking and Reasoning; Math; Language and Writing; and Listening and Remembering. All are oral activities or require only pencil and paper, or chalkboard and chalk. Brainstorming.